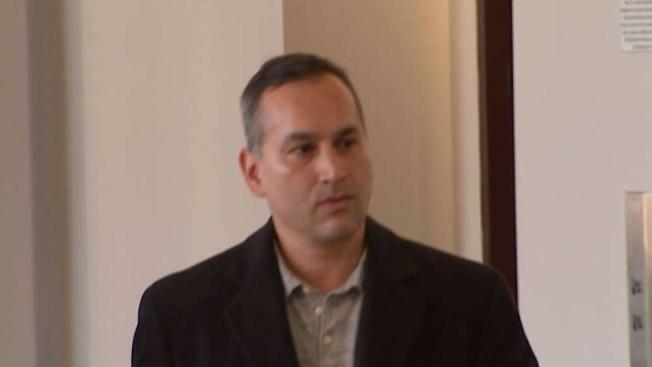 A Long Island father of three has been sentenced to jail in an attack on a case worker. Greg Cergol reports. A Long Island father has been sentenced to five months in jail for assaulting a Suffolk County child protective services worker in 2017. Jason Warshaw admitted to punching a case worker in the face in his Dix Hills home during the worker's visit to investigate child abuse allegations. The judge described his actions as despicable. Some two dozen union members watched in court Wednesday seeking justice for their colleague, a 13-year CPS veteran. "While we are working to protect the most vulnerable citizens, adults or children, we also need to be protected as well," said Nicholas DiBello, the union's vice president. Warshaw is the first defendant in Suffolk sentenced under a state law that makes an attack on a case worker a felony. "Prior to three years ago, this wasn't even an afterthought," said DiBello. "It would have been under the rug and it would been probation at most, or anger management." Warshaw's lawyer called the sentence fair and said his client was sorry.